DeKalb Police Sgt. Joe Espy, right, gives assignments during roll call at the DeKalb Police Headquarters as Sgt. 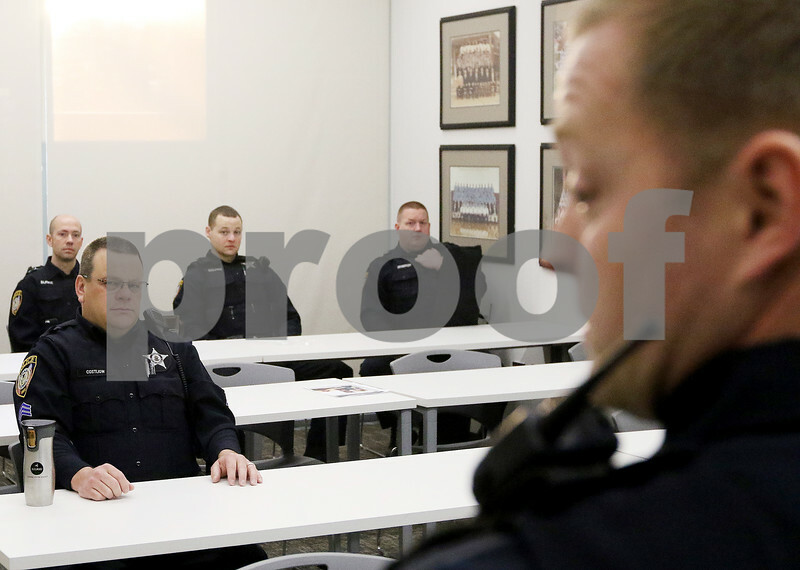 Jon Costiow, front left, officers (back, from left:) Jared Burke, Chris Sullivan, and Anthony Densberger listen in on Monday, Feb. 27, 2017 in DeKalb.